A therapeutic boarding school is a tuition-based treatment facility that combines therapy and education for students with psychological, behavioral, and emotional disorders. A teen placed in a therapeutic boarding school would leave home to live in school housing. There, the teen would receive therapy while getting an individualized education and participating in recreational activities or service opportunities. Typically, a therapeutic boarding school is highly structured to help students build emotional and personal skills while continuing their education. 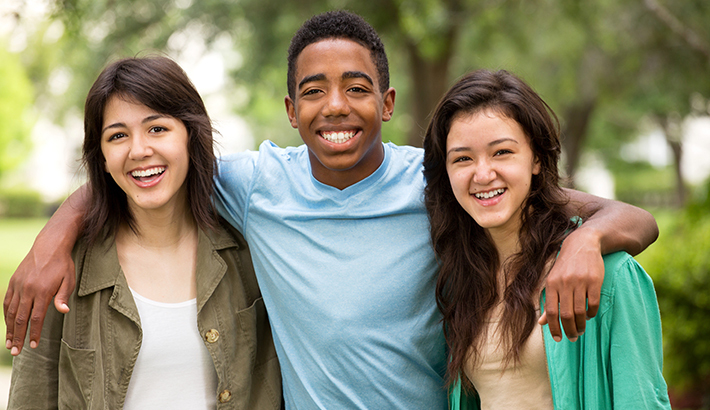 Therapeutic boarding schools can be an excellent option for teens who need lighter treatment than residential treatment but still require some structure. Therapeutic boarding schools offer educational programs that are integrated with the therapeutic program and include specialized supervision for students with behavioral and emotional problems, as well as substance abuse issues and learning difficulties. Often teens transition to a therapeutic boarding school following successful wilderness therapy or residential treatment. This can help them maintain the gains they received in treatment. Teens who are compliant in the treatment process and do not require intensive treatment are good candidates for a therapeutic boarding school. When seeking a therapeutic boarding school, be sure to ask prospective schools about admissions criteria, costs, accreditation and licensure, what will be expected of you and your family. In addition, ask questions about staff training, qualifications and about the academic curriculum. Q: How can I find a good school for my loved one? A: Working with your educational consultant or mental health professional to define the needs of your loved one is a good first step. Parents want to look for licensed and/or accredited schools and can reference membership associations like the National Association of Therapeutic Schools and Programs (NATSAP) or the Association of Children’s Residential Centers (ACRC) for reputable programs. Q: How long will my loved one be enrolled in the school? A: It will depend on his/her needs, but typically, students are enrolled in a therapeutic boarding school for one to two years. Q: Where does my loved one go after successfully completing a therapeutic boarding school? A: These programs offer academic credits that can transfer to other secondary schools and grant high school diplomas. Depending on where a client is with their education and therapeutic needs, some may graduate high school from the therapeutic boarding school and continue on to college. For other clients that still have high school credits to earn, some return home to finish high school while others transition to a traditional boarding school.